Meet our community of culinary educators. We are ready to serve, teach, and develop deliciously healthy meals with you. Stacey has developed curriculum, recipes, and taught healthy, international cooking classes in New York City public schools, after-school programs, camps, ELL and GED classes, the Institute of Culinary Education, and more — for youth (aged 2+), young adults, and adults since 2007. She began Allergic to Salad in 2010 to share her experiences and recipes in the kid cooking trenches. It has since grown into the project it is today— to after-school classes, parties, tours and more! She has developed recipes with The New York Times’ Mark Bittman on his cookbook, Kitchen Express, the Food Network TV show, Cooking for Real (Sunny Anderson), and recipe tested for Body and Soul Magazine (Martha Stewart Omnimedia). Her writing and recipes have appeared in numerous print and online publications, including a current partnership with Sustainable Table and the Kids Cook Mondays Campaign. Her food programming efforts have reached over 80,000 children and adults since 2007. Stacey has a Masters in History of Education from New York University and is a contributing editor to the textbook Contemporary Issues in Curriculum (2006/2011/2015). Sarah has been with Allergic to Salad since 2015 when she moved to Brooklyn from Portland, OR to pursue a career in food education. Since then, she has taught Allergic to Salad classes in many schools across the city, and now manages the team and programs nearly full-time. 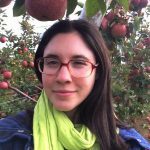 In addition to her work with ATS, Sarah manages a farmer’s market every Sunday and spends the rest of her free time as a coordinator for Q Gardens, a collaborative community garden in Flatbush. When not working to make healthy, local food accessible to her community, Sarah can be found hanging out at home with her dog, testing recipes, and making quilts out of reclaimed materials. Genevieve is excited to join the Allergic to Salad team in leveraging partnership and development opportunities for the organization. Before joining ATS, Genevieve initiated and coordinated several community-based learning and sustainability education programs for higher education, including a campus Living Lab program for students, faculty and staff, as well as writing curriculum for the USGBC and universities across the country. What truly lights her fire is working with communities and youth around issues of food education and equity. She has worked for several food justice programs, including a youth-run farm and employment organization in Portland, OR, and has taught garden-based education with organizations in both CA and OR. She holds an M.S. Ed. in Educational Leadership and Policy with a focus in Sustainability Education from Portland State University. Genevieve is a proud Oregonian, currently living in Brooklyn. In her spare time, you can find her cuddling up with a good book and her medical-marvel cat Pepper, or plotting her next escape to the mountains. Abby has been passionate about food for her entire life. As a teenager, she spent every free moment cooking and baking for friends and family, chronicling her culinary adventures on her blog, Yes to Yummy. 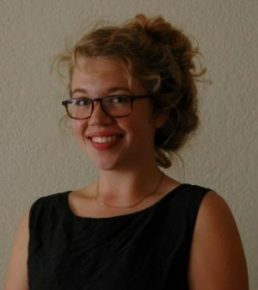 Now a senior at New York University studying nutrition and food studies, Abby hopes to pursue a career in food education, inspired by her wonderful experience with Allergic to Salad. She believes that learning how to cook is an invaluable life skill, allowing people to become healthier, cultivate community, and express themselves creatively. In the past, she’s been a seasonal assistant manager at a market in the Hamptons, assistant in NYU’s Department of Food Studies, and volunteer on an organic farm. When not busy with work or school, you can find Abby practicing yoga, desperately seeking a Corgi to pet, whipping up an elaborate dinner for her friends, traveling, or devising the most annoying puns the world has ever seen. 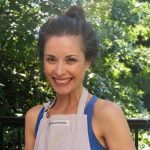 Anna Almiroudis is a Certified Integrative Nutrition Health Coach who is passionate about holistic health and nutrition. Her approach to health and wellness is integrative and holistic, emphasizing the interdependence between mind, body and spirit for optimal well-being. She strives to empower people by educating them about the importance of nutrition and the power of whole foods. She is currently pursuing her masters in Integrative Health and Nutrition and Herbal Medicine at Maryland University of Integrative Health. Her passion for kitchen alchemy and creativity goes beyond food and includes making botanical skincare products and herbal remedies using fresh herbs, flower waters and pure essential oils. Ryan’s interest in food began when he was 14 years old and started to lift weights, He quickly learned how powerful food is in shaping our health and how we feel each day. From there, his interest in food evolved into a global awareness about how our food choices influence everything around us including soil, air, water, farmers, animals, and so forth. 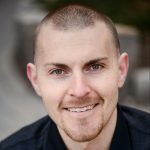 Ryan completed his education in exercise and nutrition at the University of Northern Colorado, Kent State University, and Johns Hopkins Medicine. Today, he also writes, speaks, and counsels others in nutrition, exercise, and health. Over the years, he’s published two books: Drop The Fat Act & Live Lean, A Guide to Plant-Based Eating and The Essentials of Sport and Exercise Nutrition Certification Manual, which he co-authored. Ryan is passionate about eating plenty of legumes, saving leftovers, supporting sustainable farms, and discussing soil health. When not teaching classes with Allergic to Salad, you can find him teaching yoga, listening to music, or watching documentaries. Maya is just a gal with a love for food! She believes that food education is very imperative because eating habits start at a young age. Your health is your wealth and it is important to know what you are putting in your body. 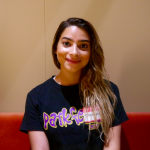 Maya loves working with kids and believes cooking is an art that allows you express yourself creatively. She loves the fact that she is able to share her love of cooking with her students each day. Through her love of food and helping others, Maya decided to embrace a career geared towards nutrition. 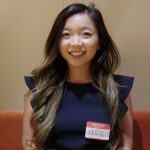 She created a pescatarian food blog called Maya’s Menu (https://www.mayasmenu.com) to to educate and provide healthy alternatives to foods you would normally eat. Cooking and educating others on ways to eat healthier is a huge passion of Maya’s and she is ecstatic to be doing what she loves. 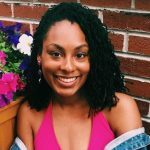 Chelsea is a nutritionist and the creator of Well Made, a practice based out of Montclair, NJ that focuses on the importance of disease prevention and holistic healing by nourishing the body with plant-based foods. 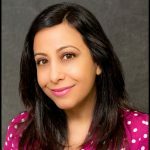 She earned her Bachelor of Science degree in Nutrition and Food Science from Montclair State University, studied the Mediterranean diet and vegetarian cooking in Italy, and completed a nutrition intervention internship at Hackensack University Medical Center. Her belief is that through food education, individuals can increase their self-sufficiency and move toward building a healthy, sustainable life. If she is not found at a farmer’s market or gym, she’s most likely adventuring out in nature, reading a good book or working on her website at a local coffee shop. Andrea has always been passionate about food, having grown up in Peru with mostly home-cooked meals. When she came to the U.S., she realized that the “art” of home cooking was getting lost. She was surprised when friends thought cheese dip with veggies was a healthy snack! Thus began her career in food and cooking. Before starting with Allergic to Salad, Andrea ran a commercial kitchen where they produced healthy, all-natural fruit ice pops. She believes that if you teach a child to eat well, he or she will share that information with everyone, creating healthier families and communities. Brigitte Durnwald, M.Ed, grew up on the Michigan Wildflower Farm and 17 years later has come full circle, establishing the farm’s first educational workshop series with her mother. Her passion for locally-grown, seasonal foods has teamed up with a growing interest in native plants, pollinators, and utilization of urban spaces. Over the years, Brigitte has taught English and Art in Vietnam, self-contained special needs classes within NYC public schools, and kids cooking classes for Allergic to Salad. In addition, Brigitte regularly cooks weekday meals for several families and continues to provide at-home instruction for children and adults with special needs. She can be found riding her bike all over Brooklyn. After working on diversified vegetable farms for two years, Gabi transitioned to teaching science, gardening, and cooking in schools. 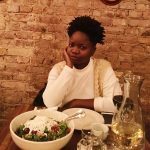 She served for a year as a Youth Education Coordinator at Backyard Growers through Americorps, then moved to NYC and took her teaching, growing and cooking experience to her position with Allergic to Salad. Gabi believes food education is important because food is medicine. Understanding that food nourishes the mind, body, and spirit from a young age is a priceless lesson. 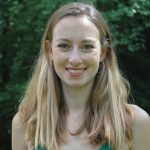 Amanda, a current Food Studies Master’s Student at New York University, spent last year serving with FoodCorps, where she taught cooking, nutrition, and garden lessons to pre-K and elementary school students. She loved her experience and realized she wanted to pursue a career in school food. She believes that there are enormous disparities in food access and health in our country, and food education can be an important part of closing those gaps, leading to better health outcomes for children. Sarde is an aspiring foodie and farmer always hungry to learn more about food and how it’s grown, as well as share it with others. She received her Bachelor’s in Nutrition from Montclair State University and has been teaching cooking and gardening classes for kids ever since. 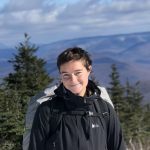 After completing a sustainable agriculture internship in rural North Carolina, Sarde has been focusing her attention on urban gardening and how it functions as a means of food access, education, and safe space for vulnerable communities. Food literacy and the richness of breaking bread with others are values that Sarde hopes to share in her teaching in order to promote health and well-being for all. Stephanie Klein is a personal chef, food coach, yogi and enthusiastic eater. 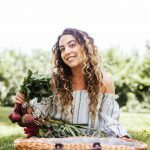 Since transforming her own health through a plant-based approach, she has seen her love for good food evolve into the ultimate form of self-care. She has learned from the best foodies at Union Square Cafe, shadowed private chefs in Los Angeles, and cooks/coaches full-time for several private clients. Stephanie received her MFA from NYU, her holistic counselor certification through the Institute for Integrative Nutrition, and is accredited by the American Association of Drugless Practitioners. 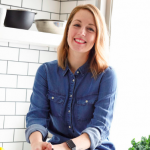 Believing food to be an ever-evolving, highly-personalized practice, Stephanie is dedicated to helping others embrace the everyday joy and adventure that cooking and eating can bring. She is proud to live in Queens with her husband and nine month-old son, both very adventurous eaters. Kelly has been in the food industry for five years and has taught community nutrition and sustainability for three years. 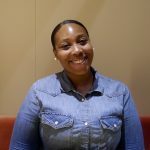 Her interest in nutrition and food advocacy started when she was in high school, when she joined a program in SUNY Downstate doing research for health disparities within New York City. It was then that Kelly decided to meld her passions for health and food into a career. To her, food education is important because it’s the start of showing kids nutrition at an early age, as well as the beginning of preventing serious food-related illnesses. She loves being a part of community nutrition education and spreading the message of healthy eating. In addition to teaching with Allergic to Salad, Kelly also serves as a youth ambassador for No Kid Hungry and works as a student researcher. Food has always been exciting to Erica, who thought combining her love of working with kids and teaching cooking would be perfect. She believes that it’s important to reach out to young ones, since food habits are formed at a young age and carry over into adulthood. A native New Yorker and current Astoria resident, Kristen has been passionate about cooking for as long as she can remember. Growing up, her earliest memories include cooking special meals with her father or gathering fresh vegetables and herbs from their small backyard garden. While her interest in cooking faded during her adolescent years, she found herself coming back to it once she graduated college and was looking for a creative outlet outside her job in advertising. Eventually, Kristen gained the courage to leave her job in order to pursue health coaching and cooking full-time. Christine is a first generation Jamerican (Jamaican-American) by way of Chicago’s North suburbs. After graduating from the CUNY Baccalaureate Program with a B.A. 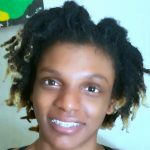 in Urban Economics, she decided to explore her interest in traditional medicine and Caribbean food ways, which lead her to study women’s health and plant-medicine. 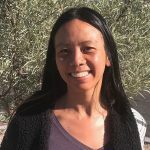 Christine’s exploration of natural healing is steeped in activism as she has worked on several projects that established equitable services to low-income communities through the frameworks of food justice and maternal health and wellbeing. In her free time, you’re sure to catch her brewing botanically-infused-Carribean-inspired kombucha or whipping up a mean veggie curry. It started with scrambled eggs. Taro learned early to handle pots and pans when his mother was out to put bread on the table. Luckily, 6 out of 10 attempts to create something delicious came out favorably and Taro developed a lasting, loving relationship with food and its preparation. Several years later, he cooked in the kitchens of restaurants around his (almost) native city of Hamburg in Germany. After relocating to New York City, he worked the front of the house of some great NYC-restaurants. During this time he also graduated with a degree in Music Education, his other passion. Raising children in NYC bears many challenges: one of them is ensuring a balanced and healthy diet. Another is stoking the natural drive to be hands-on, creative and curious. It is these two challenges that brought Taro to Allergic To Salad. Kalyea has been a certified health coach for the past five years and has studied at The Institute for Integrative Nutrition. She has also worked as a nutrition assistant, creating healthy and innovative kids menus that were in compliance with CACFP guidelines in NYC head start day care centers. In addition, she provides cooking demos for senior citizens. Kalyea believes food education is important because health is wealth. 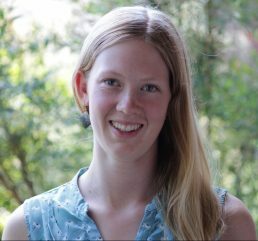 Josephine achieved certifications as a Nutrition Educator from Bauman College, Garden and Compost Educator from the Garden for the Environment in San Francisco, Permaculture Designer from the San Francisco Urban Permaculture Institute, and most recently a Master’s degree in Food Studies from New York University. She worked as a Nutrition Consultant alongside a dietitian for several years. 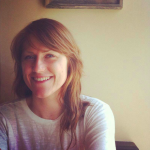 She has helped design, create, and maintain edible and native gardens for the Glide Foundation’s Graze the Roof in San Francisco, California, the Institute for Environmental Conservation in Bocas del Toro, Panama, for Casa Huichol in Guadalajara, Mexico and for the Queens Botanical (Children’s) Garden in Flushing, NY. 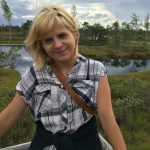 She strives to educate on the intersection of food and environment, emphasizing human nourishment strongly rooted in the sanctity of our natural resources. These days she is mostly surrounded by food and kids – gardening, cooking, sharing, playing, and eating. 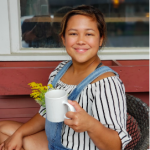 Other than being an educator at Allergic to Salad, Sharolyne has worked at summer camps and is currently studying to be a registered dietician. As a nutrition educator, she feels it is extremely important to educate youth on proper eating and exercise, especially with the obesity epidemic in the U.S. Sharolyne believes that the more awareness children and teens have, the more likely they are to develop healthier eating habits. When not at work, she can be found training in the gym or making healthy recipes in her kitchen. A previous kindergarten teacher in Dallas, Vera now works at a chocolate factory in addition to Allergic to Salad. She began working in food/education because she has always been passionate about food sustainability and nutrition. Vera believes food education is crucial for a child’s development and thinks people need to understand where their food is coming from and how it is prepared so they can make healthy choices. 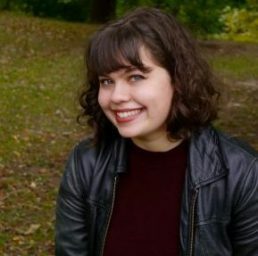 Christy Robb is a native New Yorker living just blocks from her high school, Elizabeth Irwin, which she credits with igniting her passions for social justice, activism, and education. Having advocated for communities across New York City for years, Christy became a food justice activist when she saw how many of the families she was working with were suffering from the harmful, inadequate diets on which they were subsisting. She fervently believes that once people have the information and the know-how in regard to food, nutrition, and cooking, they will make sound decisions about their own and their families’ health and well-being. Most recently, Christy was managing the largest soup kitchen in Brooklyn, serving 1,400 meals a day on site and through a mobile soup kitchen. In addition, Christy has been a long-time community chef for Local Produce Link, a partnership program between Just Food, the New York State Department of Health, and United Way of New York City, delivering fresh local produce to emergency food programs in all 5 boroughs. She is also a Stellar Market Culinary Educator for the New York City Department of Health, conducting workshops at Farmers’ Markets throughout the city. Emanuela has been working in education for over twenty years as a teacher’s assistant, middle school coordinator, religious education teacher, and reading/math elementary tutor. As a student, Emanuela had home economics (cooking/sewing), which she enjoyed and found useful. Unfortunately, those classes didn’t continue through the years. Seeing it come back today for students is something she wants to be a part of. 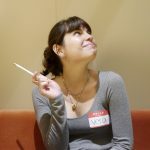 Emanuela loves teaching life skills to kids and is enthusiastic about being an educator with Allergic to Salad. Sophia is a vibrant voice for visuals and culinary flavors. She decided to embrace her life-long love for food as a way to promote her own health and growth using food as medicine. Inspired by her Jamaican Grandmother and the tastes and ingredients that she experienced during her own transition to better eating, she set out on a mission to spark revolution through lifestyle and food. She believes in using seasonal, local farmer’s market ingredients. Developing creative, affordable, tasty and visually appealing meals using clean whole foods. 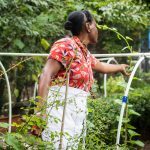 Her East New York, Brooklyn community-based program, Project Homemade, is an example of her commitment to making change through food in her community. 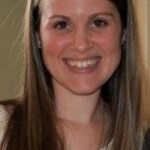 Rachel is a native New Yorker with a passion for food, cooking and teaching. Her father is a chef and restaurateur and he shared his joy of food with her at a very young age. Cheese was her first word, and by age two her favorite food was broccoli rabe. As a young child, she would go to work with her dad in the morning and help him make the soup of the day in a large stock pot while standing on a milk crate. She worked in the restaurant business on Long Island and in NYC throughout high school and college where she earned a degree in teaching from CUNY Hunter. 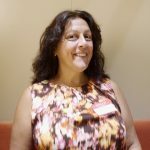 She then went on to earn a Master’s degree in literacy education and has been teaching in an after school program on the Upper West Side since 2008. There she taught a variety of classes including healthy cooking, piano, and creative and performing arts. Alexandra is a food studies Jane-of-all-trades, with experience in natural and social science research, education and curriculum development for multiple age levels, and a variety of roles in hospitality. 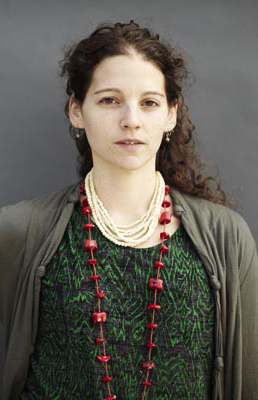 She has conducted research on agricultural practices and geomorphology for her senior thesis at Franklin & Marshall College and urban agriculture in NYC for her MA at CUNY – Hunter College, and is currently doing doctoral research on NYC pizza supply chains and the solidarity economy at CUNY – Graduate Center. 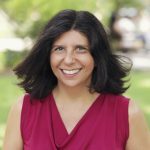 She has been a science, agriculture and nutrition educator for K-12 students through several organizations, and developed high school and college food studies curriculum through the NSF Graduate STEM Fellows in K-12 Education Program and adjunct teaching at CUNY. To round out the complex world of food and drink, she has also been a server, cashier, coatcheck, bartender and manager! Alexandra loves the way her experiences inform and relate to each other and the resulting holistic understanding of food they’ve given her. Abby has always appreciated good food, whether it is corn on the cob from a local farmer in her hometown in upstate New York or an intricately flavored vegan mac and “shews.” She thinks it is such a gift to cook a meal for loved ones, and share the joy of the delicious flavors. Her goofiness and wild imagination has always made it easy for her to connect with children. Her love for education began after teaching English on Isla Mujeres, Mexico, where her classes were more like an interactive theatre than a lecture. She is so happy to continue to teach, especially when the material promotes a greater appreciation for food and healthier lifestyles. She believes it is important for children to be exposed to healthy foods at a young age so that they can continue to make healthy choices in adulthood. When not in the kitchen, Abby can be found exploring nature, reading or dancing.